Imagine living on the Mediterranean Coast, with the Acropolis and ancient beauty of Greece just miles away. How about a nation of serene, picture-perfect waterfalls or in the city that merged Europe and Asia in a culture renaissance? Instead, Alex Stepheson ended up in Iowa. Smart move. Seriously. After earning a D-League All-Star nod this season playing for the Iowa Energy, where he averaged 15.9 points and 13.8 rebounds in 31 games, the Los Angeles native and former USC forward in now playing on his profession’s brightest stage for his hometown team after being signed to a 10-day contract by the Los Angeles Clippers last week. 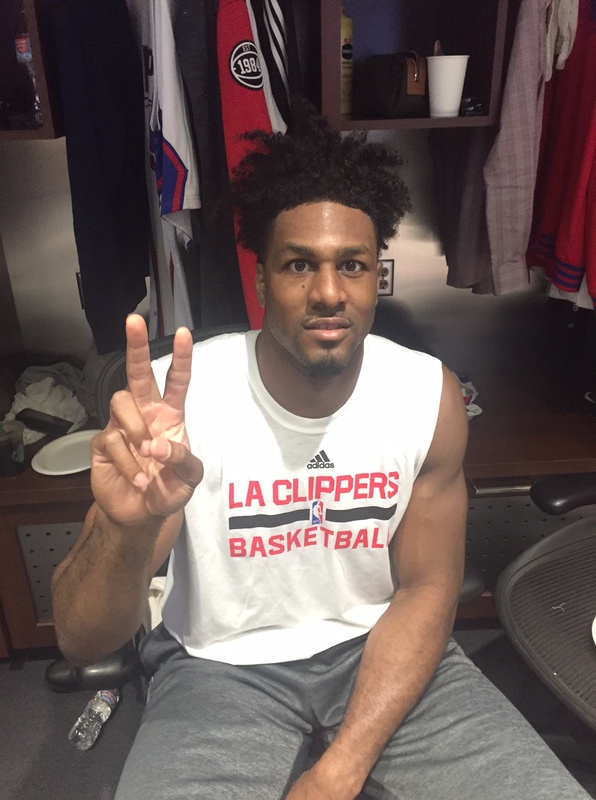 Alex Stepheson joins the likes of former Trojan greats Robert Pack and Nick Young to don a Clippers uniform (Jacob Freedman/Galen Central). Born and raised in Southern California, the past week is a decade in the making for the 28-year-old that starred at Harvard-Westlake. Stepheson played two seasons at North Carolina, then a pair with the Trojans before jettisoning off to Europe after going undrafted in 2011 with the NBA mired in a lockout. He had preseason cups of coffee with the Mavericks and Grizzlies the past two seasons, but last Saturday night’s game against the Warriors marked the first time he stepped on the court for some real-deal NBA action. Two nights later, he notched his first NBA points on a tip-in while playing seven minutes against the Phoenix Suns. Playing in front of a swarm of family and friends, the homecoming was a success in Stepheson’s eyes. 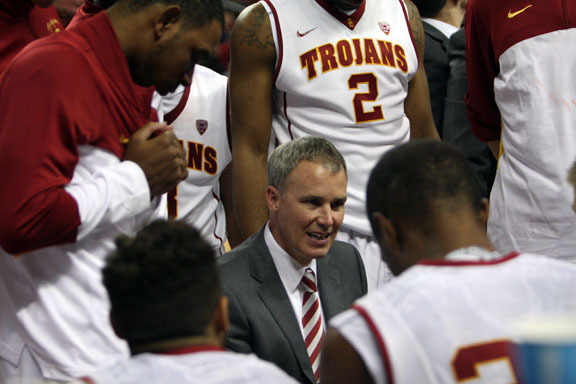 Stepheson has faith in the program Andy Enfield is building (Seth Rubinroit/Galen Central). Stepheson isn’t afraid to show support for the alma mater, attending last Sunday’s game against Utah as well mentioning how he’d like to hopefully ‘kick it’ with the players later this spring. He wouldn’t quite admit that he would have preferred the current tempo over the grit-and-grind times under O’Neill, but Stepheson is excited where the program is going with Enfield and the consistency the coach has brought the program three years in. That opportunity came the next year, but not before a tidal wave hit the program. After allegations surfaced that Floyd gave money to a middleman who helped send 5-star commit O.J. Mayo to USC, the head coach resigned a month later. Gone was not only the coach that Stepheson had spent an arduous year waiting to play for, but also USC’s five-man recruiting class that included future first-round picks Derrick Williams and Solomon Hill. The ensuing talent drain, including the loss of DeMar DeRozan to the NBA Draft, gave Stepheson a golden opportunity. He started 26 of 28 games in the 2009-10 campaign, averaging 8.4 points and 7.2 rebounds as well as finishing second in the Pac-10 in blocks. The team finished 16-14 and missed the NCAA Tournament for the first time in four years, but Stepheson’s senior year saw a return to the Big Dance while he averaged 9.8 points and 9.2 rebounds. While O’Neill’s blunt and cuss-laden coaching style drew many USC players out of the program, Stepheson soaked it in. “KO’s my guy,” he chuckled recalling his fiery coach. Stepheson’s father might have shocked by O’Neill’s penchant for dirty language, but the son stood in his coach’s corner. “KO was a good guy with a bad mouth. He really carried my game to where it is,” he said. 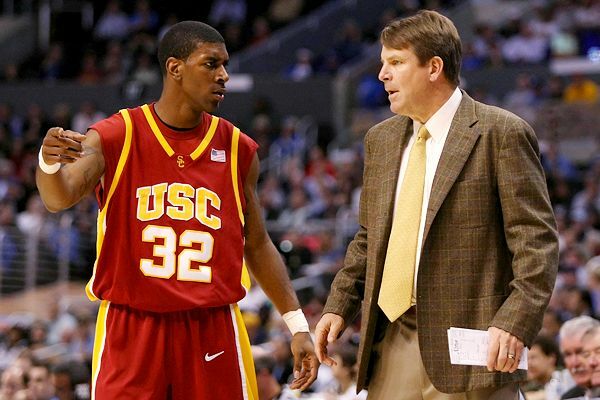 Stepheson never got the chance to play for Tim Floyd at USC. Stepheson’s Trojan career ended with a quiet Wednesday night loss in the First Four to eventual Final Four squad VCU, with Stepheson notching four points, 10 rebounds and four blocks. It would be his final game on American soil for more than three years. “USC was good to me,” Stepheson said about his three years on campus. For him, the best part of the experience came on the day of graduation, where he received his diploma in front of family and friends. The second-best? The 9-0, a popular USC bar on Figueroa. “I gotta [sic] try to cut out all my memories there,” Stepheson sighed wistfully. For the relentless competitor, the next move came as a surprise. Instead of returning the next season, Stepheson instead adjusted his eating and sleeping habits to fine-tune himself to come back at full strength in 2013. It worked. Stepheson played a season in Slovenia with Union Olimpija, and then played in the NBA Summer League with the Kings before playing for Istanbul BB in Turkey last year. Yet, at 27 years old, Stepheson knew his NBA chance dwindled every season he spent halfway across the world. This past summer, he told himself Europe was off the table, and that he had to take himself where he wanted to be: the NBA. “I had to put all my eggs in one basket,” he said. He played preseason with the Grizzlies, and then was assigned to the team’s D-League team in Iowa under the tutelage of head coach Bob Donewald, Jr. A man among boys, he embraced the high-paced D-League style to the point where the matter of a call-up became a matter of when, not if. Clippers head coach Doc Rivers took the plunge, praising Stepheson for being a big man playing with energy. After receiving encouraging words from Bryce DeJean-Jones when the former USC guard was signed by the Pelicans in January, it was his turn. Almost five years after graduating from USC, the bulky, jumpy big man was finally in the NBA. And although his 10-day contract has seen him connect on more high-fives than dunks on the court, Stepheson knows he’s come a long way from his time stomping up and down the Galen Center. Even if he’s playing just two miles away.